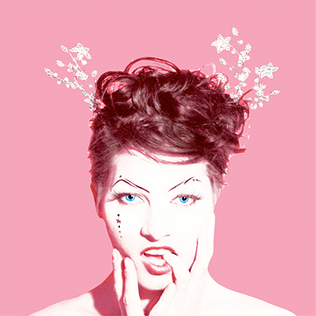 Amanda Palmer – Theatre Is Evil | Ranting About Music! Heading into Theatre Is Evil, former Dresden Doll Amanda Palmer had to face a challenge similar to what Radiohead stared down in 2007: how do you make sure your record doesn’t get lost in the hype of your business model? Sure, initiating an almost unheard of (especially on the major scale) business plan makes headlines, but few artists want how they sold their album to be remembered more than the album itself. For Radiohead, “Pay what you want” could have been In Rainbows‘ legacy, just as Theatre Is Evil is threatened to become “The Kickstarter Album”. Palmer (and the Grand Theft Orchestra, her many collaborators on Theatre Is Evil) took the way out that Radiohead did: make sure the music more than spoke for itself. After releases bordering on “gimmicky” for the past couple years (her kind-of live album, an EP of ukulele Radiohead covers, writing and recording 6 songs in 6 hours, the Evelyn Evelyn project, etc. ), Theatre Is Evil is a fully formed album that swings for the fences and holds damn near nothing back. Case in point, opening number “Smile (Pictures Or Didn’t Happen) sounds like it was fired out of a glitter cannon: giant, distorted My Bloody Valentine style guitars and huge drums blow out the song to epic proportions, while layered and filtered vocals and stabbing keyboards texture it with technicolor. And it doesn’t build into this; the song arrives more or less fully formed after a few drum beats. As far as openers go, it’s a showstopper. And, with its atypical instrumentation, “Smile” paints the album correctly as an “anything goes” affair. After “Smile”, Palmer begins a run of rock songs that get damn near manic. “The Killing Type” puts the punk into cabaret punk, built on a lone guitar and drum combo that gets more and more wound up until finally exploding in a break of “DIE! DIE! DIE! DIE!” before quietly retreating. “Do It With a Rock Star”, which sounds like it’d gleefully fall apart at any second, calls to mind the dead-eyed but still chaotic feel of LCD Soundsystem’s “Drunk Girls”. Meanwhile, “Want It Back” is simply one of the album’s standout pop songs loaded with multiple vocals, synths, keyboards, and exuberance. Yet, despite the hysteria that surrounds (and essentially is) Theatre is Evil, Palmer is what keeps the album…well, grounded isn’t the right word, but focused. It’s not just that she’s a veteran performer, or that her lyrics and perspective are singular, but she also has such a distinct personality and endless energy. She’s an utterly engaging performer, even in the recording booth. Much like Palmer as a performer, there’s a lot of planning behind Theatre Is Evil, even if it isn’t immediately apparent. The level of craft in “Trout Heart Replica”, a gorgeously orchestrated piano and string ballad that makes the heart of the album, is clear in the song’s heartwrenching rises and falls, as well as in the bleepy, bloopy, gloomy “Grown Man Cry”. In other places, it’s less obvious, but just as present; even in the immediacy of “Do It With a Rock Star” and “Melody Dean”, the songs are never overtaken by their own energy, and evolve and shift with grace too deft to be luck. The only frustrating part of the record’s craft is that most songs don’t end as much as they stop; nearly every song plays out its four to seven minute time in full, and only slams the breaks within seconds of the next one starting. It lacks any falling action. Like numerous grand scale albums before it and after it, Theatre is Evil suffers most from a lack of breathing space. A case could be made for “A Grand Theft Intermission”, but it’s only two minutes long, and still too chaotic to count as a break. The marathon pacing makes for some second half casualties: “Lost” is another loaded piano and drum based song that frankly doesn’t hold up, and “Bottomfeeder”, despite some great melodic moments, doesn’t justify a six minute runtime. Another epic, “Berlin” holds up slightly better through sheer force of will and direction, but still feels daunting as deep into the album as it is. The album’s second half is saved by a pair of polar opposite knockouts. “The Bed Song”‘s charm lies in its piano hooks, and how much it focuses on the lyrics, which paint the saddest story on the album. “Melody Dean” is an everything-but-the-kitchen-sink freakout that benefits from brevity (yes, four minutes counts as brevity–Theatre Is Evil is that kind of album) and adventure, not to mention a hell of a synth hook in its final moments. Theatre is Evil is too interesting to be The Kickstarter Album. The album’s controlled anarchy makes for some of the most distinct songs I’ve heard all year, and even if it isn’t end to end brilliance, the record has something for everyone, and has a high replay value. Palmer’s still a controversial figure, but there’s a lot of substance behind her style. Three and a half out of five stars. This entry was posted in Album Reviews and tagged album, amanda palmer, indie, music, review, Theatre is Evil. Bookmark the permalink.